Abstract: This paper gives an overview of the history of Belgrade from the reign of Justinian I (527–565), i.e. the time of Slavic settlement, to the Ottoman conquest in 1521. The millennium can be divided into three thematic and chronological units: the Byzantine era (up to 1204), the Serbian era and, finally, the Ottoman era (fifteenth– sixteenth centuries). Within the Byzantine cultural orbit, and especially during the twelfth century, the city played a major role in the relations between the Byzantine Empire and Hungary. Byzantine emperors sojourned in Belgrade on multiple occasions. The city reached its peak during the reign of Despot Stefan in the early fifteenth century. After his death in 1427, the Ottoman threat cast its shadow over the city. Its inhabitants, the Serbs, defended Belgrade for almost a century (1427–1521), thus defending the whole of Central Europe. 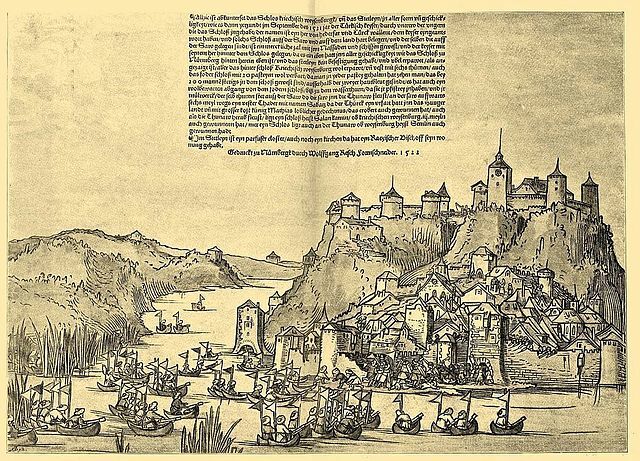 Belgrade’s fall into the Ottoman hands was followed by the demise of the Kingdom of Hungary in 1526. Even Vienna was threatened by the Ottomans, in 1529. Introduction: At the time of the migration of populations, Singidunum was attacked by various peoples crossing the Balkan Peninsula in their campaigns or halting in the nearby Danube and Tisa basins. The Huns came first, in 441, followed by the Ostrogoths and the Heruls. Their looting raids came one after another, causing great tribulation in the settlements on their paths. Devastation and destruction caused immense damage and gradually threatened the very survival of the late Roman order in this region. It became clear that only a complete reconstruction of the defence system could save the Empire. Justinian I (527–565) tried to do just that; he took steps to adapt the isolated border fortresses on the Danube to the possibilities of the time and the needs of the land. He renovated old fortresses and built new strongholds. The society of the sixth century was not capable of defending the large military camp in Singidunum. During this period, like elsewhere in Europe, new smaller strongholds were being built inside Roman fortifications. The partially destroyed military camp of Singidunum was also renovated and, it seems, made smaller.